Steve Jobs as a young man. 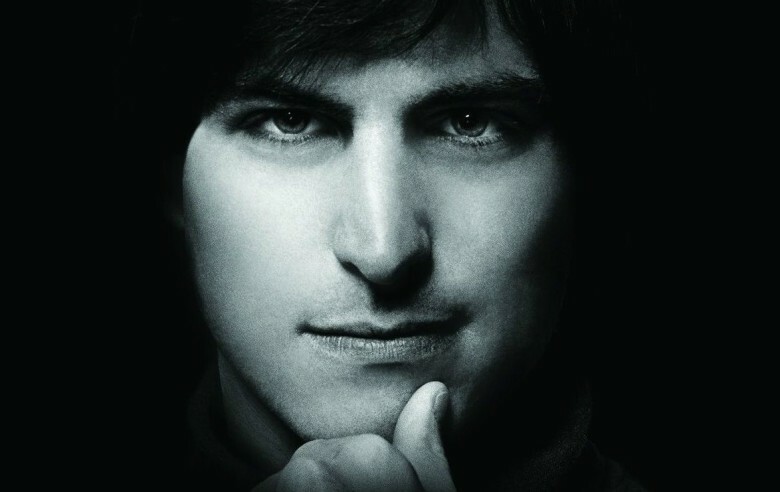 Steve Jobs was renowned for being hands-on when it came to overseeing Apple’s iconic ad campaigns. But if you really want an Apple ad that had Jobs’ writing all over it, you need to start scouring your personal savings. The Steve Jobs document up for auction. The document is accompanied by two Polaroids showing circuit boards for the Apple-1. While more complete Apple-1 computers were sold to the Byte Shop, where they retailed for $666, this bare bones printed circuit board was sold to Jobs’ friends and acquaintances. “The present manuscript is essentially a specification sheet for the computer and was given to the consignor during a visit to Jobs’ garage,” Bonhams writes in its auction notes. The document includes Jobs’ contact details. At the time, this was his adopted parents’ address. Jobs notes that the Apple-1 uses either the 6800, 6501 or 6502 microprocessor, but adds that the 6501 or 6502 was “recommended because we have basic.” He also writes that “basic on the way (ROM),” which never wound up materializing for the Apple-1. Instead, it showed up the following year with 1977’s Apple II. According to Bonhams, the document and two Polaroids will likely sell for around $60,000. If you’re an Apple fan, there are other interesting items in the Bonham auction, too. Steve Jobs-related memorabilia is heavily sought after by collectors. Other recent items to go under the hammer in recent years include Jobs’ former BMW Z8, a signed check made out to former girlfriend Tina Redse, a 1973 job application, and more. The price of Apple-1 computers has fluctuated at auction. 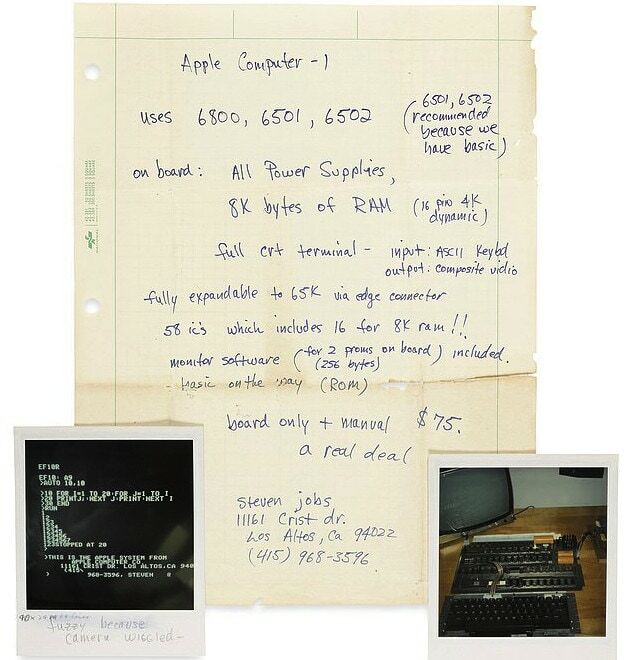 In 2014, a working Apple-1 sold at auction for an incredible $905,000. However, last year a unit sold at auction for just $112,000 — considerably less than the predicted $200,000-$334,000 auctioneers expected it to fetch.